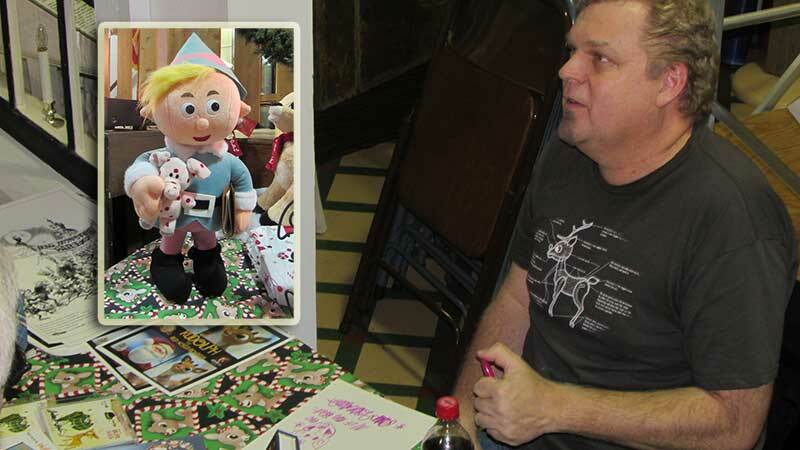 About 70 people listened to Rankin/Bass Productions historian and archivist Rick Goldschmidt talk about the creation of Rudolph and other "stop-motion" puppets Dec. 17 at the museum. Many attendees also brought food donations for the local food pantry. Merry Christmas to all! Guests viewed the collection of Rudolph memorabilia assembled on the stage with a mixture of nostalgia and childlike wonder. The display will remain up through Jan. 9.